This 'Belonging' blog is a useful resource for both students and teachers. The regularly updated resources will assist students in the development of writing skills suitable for the three sections of Paper 1 of the NSW HSC Examination. The site will also assist teachers in the development of interesting, relevant and engaging resources for teaching the new Area of Study 'Belonging'. I am currently evaluating this blog and HSC Area of Study - Belonging: a student workbook and would greatly appreciate your feedback on what you like about these resources and what you would like to see more of. - any other information you can think of. I greatly appreciate you taking the time to communicate to me what you need in relation to teaching or studying the HSC Area of Study. You have been invited to speak at the book launch of a new collection of texts entitled Belonging in our Society. In your speech, explain and assess the ways in which belonging is represented in the texts in the collection. In your answer, refer to your prescribed text and at least ONE other related text of your choosing. People long to be together, to spend time with one another and to connect to other human beings. Sometimes this longing is so strong that it prevents us from exploring our own desires and from fulfilling our own dreams. Our need to belong can also force us to compromise our own values and adhere to expected codes of behaviour. So what do you do? These issues of rebellion and belonging are poignantly explored in Baz Luhrmann’s film ‘Strictly Ballroom’, an Australian classic that humorously pokes fun at the frivolous world of ballroom dancing to highlight the values of self-belief and self-will, and the difficulties in expressing these in an oppressive society. The extract from Nerida Wayland’s ‘Slow cycle’ also explores the values of identity and self-expression and their effect on an individual’s ability to belong in a meaningful way in marriage. To me, ‘Strictly Ballroom’ and ‘Slow cycle’ are worthy additions to ‘Belonging in our Society’ because they explore the emotional impact of rebellion and its effect on belonging in society. ‘Strictly Ballroom’ successfully creates humour by satirising aspects of the ballroom dancing world, showing the restrictions placed on the individual’s desire for self-expression and individuality. Fantasy motifs—e.g. red curtain, dancing silhouettes—are used to depict the ballroom dancing world as ‘unreal’. The world of ballroom dancing is depicted as colourful and glamorous. Interviews contain exaggerated comments and fear of ‘new steps’. The value of self-belief in ‘Strictly Ballroom’ is shown through the realistic representation of dancing within the Spanish community, in contrast to the exaggerated, cartoon-like images of the ballroom dancing world, which is dominated by flashy costumes, wailing women and insincerity. Scott is challenged by Rico to dance the paso doble and is laughed at for the way he dances. Rico dances with passion and deliberation. Ya Ya shows Scott where to feel the rhythm. The Spanish community teaches Scott the value of dancing from the heart. Scott dances freely, expressing himself. Rebellion against expected ways of belonging is also explored in the extract from ‘Slow cycle’ as the persona leaves her husband to travel through Morocco in a quest for identity. There is a comparison between the postcard of the Australian outback and the Moroccan landscape. Visual images of the Moroccan sun, wind and desert highlight the persona’s isolation and confusion. The persona feels an inability to connect with and belong to her new environment. A lack of understanding between the husband and wife leads to separation. As individuals, we struggle against the oppression of others who insist we blindly follow expected ways of behaving and belonging. Making a decision to rebel against expected ways of being can have a significant emotional impact on an individual’s sense of self. However, when we objectively observe the influences in our lives, we are better able to decide a course of action that is most suited to our personal judgments and aspirations. When we are comfortable with our choices we have a better chance of belonging in a meaningful manner to a group, community or society. In this collection ‘Belonging in our Society’, therefore, ‘Strictly Ballroom’ and the extract from ‘Slow cycle’ successfully address the implications of rebellion and self-expression on an individual’s ability to comfortably belong while maintaining identity. ‘Strictly Ballroom’ successfully creates humour by satirising aspects of the ballroom dancing world, showing the restrictions placed on the individual’s desire for self-expression and individuality. The opening scene highlights a fantasy world, depicting silhouettes of ballroom dancers gracefully dancing to the famous waltz, ‘The Blue Danube’, followed by images of the glitzy and glamorous dancers in their brilliant costumes. It is a world the audience is set up to admire: we would all would like to belong to it. Or would we? The crosscutting to the interviews at the beginning of the film surprises the audience, sending up the content of the interview and the exaggerated seriousness of the characters’ approach to ballroom dancing. The interviews describe the events of the recent Southern District Waratah Championships, where Scott Hastings dared to express his individuality through unconventional dance steps. A tone of mock tragedy is expressed through Shirley’s lament, ‘I kept asking myself, “Why?” … Did I fail him as a mother?’ The word ‘tragedy’ makes the audience laugh at her exaggeration. The open framing here as Scott dances out of the shot conveys the sense of rebellion, juxtaposing the image with the closed framing of the ‘strictly ballroom’ waltz in the scene. By now we see the original images of the dancing silhouettes as superficial. This is not a world we would want to belong to, as it is fraught with anxiety and fear of self-expression. The value of self-belief in ‘Strictly Ballroom’ is shown through the realistic representation of dancing within the Spanish community, in contrast to the exaggerated, cartoon-like images of the ballroom dancing world, which is dominated by flashy costumes, wailing women and insincerity. Through Fran and her Spanish culture, Scott is transformed as he learns the value of dancing from his heart, and the true spirit of family and belonging. To depict the backyard of the Toledo Milk Bar, Fran’s home, Luhrmann uses low-key lighting and creates a romantic, warm and inviting atmosphere. When Rico challenges Scott to dance the paso doble, Scott is ridiculed for not dancing from the heart and this separates him from the group. Close-ups of people laughing are juxtaposed with long shots of Fran and Scott dancing, showing that they are laughing at the way he dances. The medium shots between Scott and Rico accentuate Scott’s humiliation and highlight Scott’s folly as Scott asks, ‘What is so funny?’ Rico rises from his chair and begins to dance with deliberate steps and obvious passion, which is shown through a combination of medium and long shots intermingled with close-ups of his spinning feet. Close-ups of Scott’s softly lit face show his sense of enlightenment and desire to connect with the values of the Spanish community. Ya Ya taps Scott’s gut and chest, mimicking the rhythm of the heartbeat, illustrating Scott’s realisation of where the real rhythm should come from. When he dances again, he is seen twirling continuously as the camera pans up from his feet. Flecks of light shine on him while he spins in complete abandonment, celebrating his liberation and newfound sense of belonging. Rebellion against expected ways of belonging is also explored in the extract from ‘Slow cycle’ as the persona leaves her husband to travel through Morocco in a quest for identity. Marriage is integral to how we live in society, making an exploration of the barriers to an effective relationship worthy of discussion and incorporation into ‘Belonging in our Society’. The persona compares her home in Australia to Morocco through the image of the Australian outback postcards. The visual image of the Moroccan ‘setting sun’, an image of beauty, is juxtaposed with the images of ‘chilling night winds’ and ‘impending desert’, which suggest fear and loneliness. This highlights the persona’s isolation and confusion in the absence of security and belonging. The persona is uncertain about her decision to leave the marriage and travel on her own. This is further developed through the persona’s unsuccessful attempt to connect with her new environment and the young boy on the roadside, which she compares to her struggle to focus on things that matter in her marriage. The short, sharp dialogue between the persona and her husband (‘But why Morocco?’/‘Why not?’) illustrates the strain on the relationship and their inability to communicate, hampering their sense of belonging together. The persona has separated from her husband to re-establish her sense of identity, something she has not been able to do within the marriage. Despite an individual’s desire to belong to a group or community, this is not always possible. How do the texts you have studied represent the processes and results of belonging and/or not belonging? See other analytical response plan posts for how to write an analytical response plan. Belonging to a community or group is complicated. Societies are made up of complex rules and codes of behaviour, determined by those in power, which the members of the society are expected to adhere to. However this is not always possible, especially when an individual’s values oppose those values of people in positions of power. When the dominant values in society and the processes of administering the law are fundamentally flawed and corrupt, it is difficult for the individual to remain true to their own sense of morality. In ‘The Crucible’, by Arthur Miller, hysteria caused by accusations of witchcraft destroys the community, creating mistrust and fear and the struggle to belong securely in family groups . Similarly, in the short piece of creative writing ‘Berla Hill’, the hypocrisy of the council’s practice of governing is exposed through the death of innocent children, undermining the secure foundation of the society they purport to provide. In ‘The Crucible’, hysteria plays a significant role in destroying the sense of belonging within the community of Salem, compromising people’s security within their households and faith in dominant values within the society. The fervour of accusations destroys logic in the community. Miller is critical of the hysteria, as it leads to innocent people being accused. Miller and his friends were accused of having pro-communist beliefs. Accusations are based on grudges, not truth. Hale urges Danforth to postpone the hangings as Salem is on the verge of rebellion. In an act of redemption and rebellion, John Proctor overcomes the oppression of belonging to a corrupted society by adhering to the principles of honour and dignity. Elizabeth tells Proctor that Corey Giles refused to confess to witchcraft and was crushed to death by stones. Proctor laments that he is not a good man and can’t go to the gallows a martyr. Proctor asks for Elizabeth’s forgiveness. Proctor confesses to witchcraft, but refuses to sign the confession as it will condemn innocent people. Proctor refuses to sign the confession as he will compromise his reputation. He goes to the gallows redeemed. In ‘Berla Hill’, the forced unity and sense of belonging of the community is juxtaposed with the corruption and hypocrisy of the council, which has caused the death of innocent children. The composer uses an ironic tone when writing about the building of the new council chambers and the community’s mandatory financial contributions. The children fall ill and are buried at the back of the council chambers instead of the churchyard. The green sterilising fluid from the drain is the cause of these deaths. A young boy is found dead in the river, finally exposing the corruption. To defy the established order in any given society is not an easy task. The desire to belong to a community and follow expected moral codes is so strong that it can lead people to compromise their own integrity and values. ‘The Crucible’ explores the difficulties that can result when an individual refuses to yield to the corruption of values in a society in order to simply belong. The ease with which individuals can be manipulated by those in authority is represented in ‘Berla Hill’, showing that corruption leads to instability and a lack of desire to belong in a society that is fundamentally flawed by those in power. In ‘The Crucible’, hysteria plays a significant role in destroying the sense of belonging within the community of Salem, compromising people’s security within their households and obscuring faith in dominant values within the society. The process of enacting revenge is symbolically represented through the fervour of accusations of witchcraft, which destroy all logic and allow people in Salem to believe normally upstanding members of the community have been involved in heinous activities, such as killing babies and communing with the devil. Miller, having been accused of being a communist along with many of his friends, is critical of this hysteria. Despite some of his characters’ legitimate fear of witchcraft, the fervour surrounding their accusations leads to innocent people being accused of wrongdoing to satisfy vengeful grudges. Abigail accuses Elizabeth of witchcraft in order to seek revenge, as Elizabeth acknowledges when she says, Abigail ‘thinks to kill me, then to take my place’. Thomas Putnam seeks revenge on Francis Nurse by accusing his wife, Rebecca, of murdering Ann Putnam’s babies through supernatural means. In Act Four, Reverend Hale reports that the town is in great confusion because of the hysteria, using visual images of homeless orphans wandering the street, abandoned cattle and rotting crops. Judge Danforth refuses to postpone the hangings of innocent people, however, ironically stating that it would be unjust to pardon people when others have already been hanged for the same crime. A previously cohesive community is now on the verge of rebellion, as no one knows who the next victim of the hysteria will be. In an act of redemption and rebellion, John Proctor overcomes the oppression of belonging to a corrupted society by adhering to the principles of honour and dignity. In the last scene of the play, Elizabeth is urged by Reverend Hale to speak with Proctor in the hope that she can get her husband to confess to witchcraft. Instead, Elizabeth’s visual image of Giles Corey being crushed to death by having stones placed on his chest forces Proctor to consider his own personal truth. Even on the brink of death, Giles Corey refused to tarnish his reputation and stood mute so that he could die a Christian under the law. Proctor laments that he is not a good man and cannot ‘mount the gibbet like a saint’, the simile being used to compare the honour of characters like Corey with Proctor’s own blemished past. Proctor thinks that if he goes to the gallows as a martyr it would be a falsehood as he is not worth the ‘dust on the feet of them that hanged’—others who have not sinned as he has. In the end, he refuses to sign the confession as it will condemn innocent people: ‘I speak my own sins; I cannot judge another’. The act of ‘judging’ is used to symbolically represent the irony of the legal proceedings during the witch trial, which led to innocent deaths. Proctor, an ordinary man, acts honourably by refusing to ‘judge’ others, while the law does not. Proctor was at first willing to give his soul through his confession, but refuses to compromise his reputation for the sake of belonging to a corrupt society, maintaining his dignity in the face of death. As he goes to the gallows, Elizabeth observes that ‘he have his goodness now’. In ‘Berla Hill’, the forced unity and sense of belonging of the community is juxtaposed with the corruption and hypocrisy of the council, which has caused the death of innocent children. The system of governing, which led to the development of a new council chamber building, becomes the reason for the destruction of the community’s sense of security and trust in authority. The composer establishes an ironic tone about the new building the community has been forced to pay for as part of their ‘civic responsibility’. The community was assured that the chambers would be a ‘splendid addition’ to the ‘fine city’, not only because of the stonework in the building, but through the construction of a youth centre designed to keep young people off the streets and out of trouble. However, there is a suggestion of a cover-up, created through the visual images of small children suddenly falling ill and dying. The image of their burial at the back of the council chambers instead of in the churchyard symbolises the council’s cover-up. When it becomes obvious that the ‘green sterilising fluid’ is actually the cause of these deaths, the council members try to preserve the enforced sense of community and continue with the pretence of celebration for the opening of the new council chambers. The composer’s sceptical tone is shown through the councillors’ claim that they are nevertheless ‘God-fearing Christians’. When a young boy slips through his mother’s arms at the opening ceremony and is found dead in the river, the corruption and hypocrisy of those in authority is finally exposed. The composer is highlighting that belonging securely in a society is dependent upon the honest practices of those who have the power to manipulate that society. Berla Hill council chambers were nestled on the top of the hill, overlooking the town of the same name. The recently built stone building was unlike any other in town as the rest of the public buildings were made of wood. Members of the council chambers assured the community that the building was the most splendid addition to our fine town and that the extra levies on our council fees we were forced to pay was our civic responsibility. The council chambers was unique in that as well as containing a ballroom temporarily available for mass until the new church was built, there was a centre for youth to drop in at their leisure. The centre also provided activities and programs specifically designed to keep the youth of today entertained and off the streets. The councillors also hoped that the days of random markings, symbolic of delinquent youth behaviour, all over the town hall and courthouse were well and truly past for our most gracious city. The council chambers were scheduled to be opened for business on the 16th of June 1850. It was expected that as well as prominent officials and businessmen in the community, mothers and their children of non-school age would also be in attendance. Since the burning of the church, it was our duty to support local families and promote community spirit in whatever way we could. Tea was to be served on the verandah on the south side of the building overlooking the river at half past 10 in the morning and proceedings would begin promptly in the ballroom half an hour later. Recently several small children had fallen ill, coughing sporadically and breaking out in a nasty rash. When they died, the town broke with the tradition of the country and began burying these small children on the hill behind the chambers instead of the yard of the local church, which no one had bothered to get around to building yet. The councillors assured us that our beloved children were in safe hands and that as God-fearing Christians they would look after them in death as they had done in life. At the back of the chambers, at the bottom of the hill, sheep wandered aimlessly in the green pastures and the cattle slept under the scattered trees. An open drain, a feat of innovation we were told on account of the green sterilising liquid flushing out unwanted waste, ran from the council chambers down the dusty road to the river at the front, which ran along the bottom of the hill through to the main part of town some 500 metres below. The local children would strip off naked and paddle in the cool water at the bottom of the hill on a warm summer’s day. As a child, my brother and I had swum there daily in the summer months. It was our only relief from the heat. Since the opening of the council chambers all that has changed. The children began to avoid the area from that day forward, even though it is the deepest part of the river and you can jump off the rocks on the side into the water without fear of hitting the bottom. The lack of life caused a slimy film to grow over the water and our fine city. On the grand opening day, during Councillor Fraser’s glorious speech in the heady heat about the benefits of community spirit and the value of a solid work ethic, a strange smell like rotten eggs wafted through the proceedings, distracting the usually attentive constituents. A councillor rose from his chair to close the windows, stifling the listeners even more. A young boy from a neighbouring farm slipped from his mother’s arms to go to his father, so she thought, but instead the boy made his way down the dusty road to the river. While we coughed and congratulated ourselves on the generous contributions we had made to the building of the council chambers, the boy disappeared into the river. As the body was dragged over the rocky bank up onto the grass where a large group of people looked on furtively, the boy’s skin sizzled like a sausage, and I temporarily presumed he must still be alive. Burials resumed in the churchyard after that day. · Reading Great Expectations and related texts(of your own choosing). · Researching how meaning is created through textual features in each text. g) reference to at least ONE related text of your own choosing. How do the texts you have studied represent the processes and results of belonging? Discuss this statement, focusing on how composers of texts represent the concept of belonging. Before you begin writing, brainstorm ideas about the question and your possible approach to the question. Pip comes to accept the mentorship of Magwitch, leading to a greater awareness of what it truly means to be a gentleman and belong with integrity in society. Symbolism of the marshes represents Pip’s lowly past and where he grew up. Pip perceives being a gentleman as being determined by the class system – you are either a ‘gentleman’ or ‘common’. Pip realises he treated Joe and Biddy unpleasantly, just as Miss Havisham treated him. Pip thinks Magwitch’s money is less pure than Miss Havisham’s money. Pip’s awareness of Magwitch’s love. Pip’s idealisation of Estella symbolises his perception of what is ideal in life. Ironic that Estella is more closely related to a criminal than Pip is. Pip comes to accept the mentorship of Magwitch, leading to a greater awareness of what it truly means to be a gentleman and belong with integrity in society. Pip originally associates the marshes, where he meets Magwitch the convict who later becomes his benefactor, as a symbol of his lowly past and where he grew up. When Pip first realises Magwitch is a common criminal, his initial reaction is disgust that his ‘great expectations’ were all a sham. Pip originally bases his judgment on what it means to be a gentleman through his perception of the class system, determined by ideas of being a ‘gentleman’ or being ‘common’. At first he becomes angry with Miss Havisham for leading him to believe that she was in fact his benefactor, but he realises that he treated Joe and Biddy just as unpleasantly, having avoided their company because he considered them to be ‘common’. At first, Pip thinks he is ruined because he is linked to a convict, even though the convict has been very altruistic in his treatment of Pip. Pip perceives the money which brought him ‘great expectations’ is somehow less pure than money from Miss Havisham. Yet the convict has shown Pip more generosity and care than Miss Havisham as he behaves like Pip’s ‘second father’. Pip comes to appreciate Magwitch’s love as shown through Pip’s thoughts about him as he held his hand before his death: I only saw in him a much better man than I had been to Joe. Pip's idea of all that is desirable in life is symbolised through his idealisation of Estella – she is wealthy, beautiful and uncommon. It is ironic that what he adores is more closely related to the world of criminals and convicts than he. Pip has been blindly headed towards what he thought he was running away from in the first place. To gain a better understanding of how language techniques work together to create meaning, it is a good idea to analyse a few key scenes from the text. • analysis of how these examples relate to belonging. 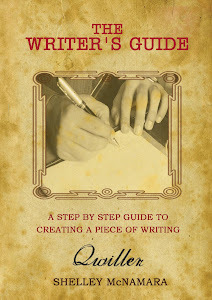 Then write a full analysis of the scene and its techniques, and its relation to belonging. An example of a scene has been included in the following modelled response. After you have read the modelled response, choose a different scene to analyse. Miss Havisham is an old woman who has given up on life. Decayed wedding dress represents Miss Havisham’s abandoned love and the decaying effect this has had on her perception of life. Miss Havisham blocks out the light, highlighting her loneliness and withdrawal from society. Estella bought up to break men’s hearts echoes Miss Havishams desire to spurn love. 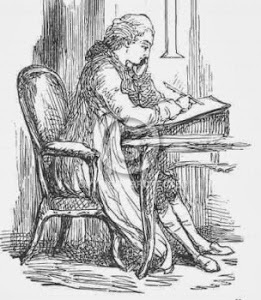 Full analysis of how the techniques and examples represent belonging:Pip's visits to Miss Havisham’s house changes him, as he develops a determination to become a gentleman. Miss Havisham is an old woman who was abandoned on her weddind day and has, as a result, given up on life. Dickens describes her through decrepit imagery. Her yellowed wedding gown, ‘grave-clothes’, and the veil like a ‘shroud’, represents an abandoned love and the decaying effect this has had on her perception of life. She refuses to exit the house, blocking out the light further highlighting her loneliness and withdrawal from society. Pip imagines that if the light did strike Miss Havisham that it would turn her to dust. Her only companion is Estella, her beautiful adopted daughter, whom Pip develops a strong affection for, which turns into love as he grows older. But it is unrequited love, as Miss Havisham has made it her dark life's project to raise Estella as a cruel-hearted girl who will break men's hearts, metaphorically representing Miss Havisham's own desire to spurn love. The imagery in this scene is one of crumbling decay, just like Miss Havisham, sitting ‘corpse-like’ as she watched Estella and Pip play. It is unnatural as is the relationship between Estella and Miss Havisahm. Despite this, Pip aspires to belong to the high society the house symbolises. Although Pip feels uncomfortable visiting Satis House, he concludes that his ‘uncommonness’ is the cause of his distress and determines to become a gentleman. 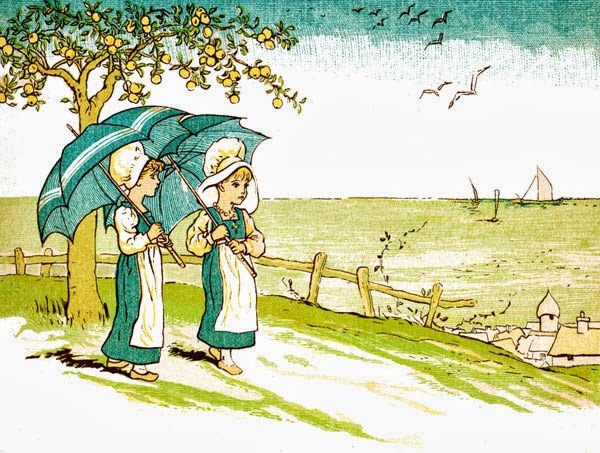 Pip is unable to see that the bitterness of the ‘cold wind’ echoes the bitterness of Miss Havisham and Estella. To gain a better understanding of how language and visual techniques work together to create meaning, it is a good idea to analyse a few key scenes from the text. Then write a full analysis of the scene and its techniques, and their relation to belonging. · Samadhi is a metaphor for pregnancy and what is usually associated with the joy of having children. · The narrator recognizes her pregnancy as the source of joy and does not want it terminated. · The burka symbolizes a culture that is different to Olivia’s own and highlights her inability to belong and be accepted. · Olivia chooses not to belong in the world as a mother. · The crumbling child gravestone represents the implications of termination according to Dr. Saunders. · The narrator chooses to see pregnancy as a positive change in her life, unlike Olivia whose life ‘crumbles’ after this decision. In the section dated August 31st, the composer creates visual imagery of both the narrator and Olivia’s choices regarding having a child. The narrator is surprised to be followed by another woman as she walks to the bazaar. She stops by Maji's hut, who is in a ‘state of Samadhi’ having reached a ‘higher state of consciousness submerged in its bliss’. This state of consciousness can be perceived as a metaphor for pregnancy and what is usually associated with the joy of having children. A mother and child’s relationship is regarded as a special bond in society, where belonging is established between the mother and child in pregnancy. Maji again reminds her that now would be a good time for a skillful massage which would induce a termination, if that is her choice. When the narrator asks her to stop the message, she does so immediately. The narrator recognises her pregnancy as the source of a completely new feeling and rapture and does not want it terminated. She appreciates the strong sense of belonging between a mother and child and wishes to honour this. The composer juxtaposes the narrator’s pregnancy with Olivia’s pregnancy in the section from 1923. In this descriptive scene Olivia is instructed to don a burka and follow one of the servants down the dark alleys of slummy Satipur. The burka symbolizes a culture that is different to her own and highlights her inability to belong and be accepted fully in that culture as she needs to pretend to be from a different culture. The midwives instruct Olivia to lie down on a mat and begin massaging her abdomen. Finally though, Olivia closes her eyes to the pain, demonstrating that she chooses not to belong in the world as a mother. The midwives begin as Maji had done. They were relaxed and professional, performing a task that needed to be done. The performance of terminations by the midwives can be contrasted with the symbolism of the Italian marble angel statue. The Saunders' had had the statue imported to commemorate a child who died in infancy. By the narrator's time the gravestone was beheaded, without arms and otherwise crumbling. The crumbling child gravestone can also be contrasted with Dr. Saunder’s outraged over Olivia's decision, clearly seeing her choice as having long term destructive implications. For Dr. Saunders, Olivia’s decision, while easy to accept in the present, will become like the child gravestone which was once new and whole, but disintegrated over time due to the weather and lack up care and attention. Both the angel statue and Dr. Saunders outrage demonstrate the difficulties of belonging when others in society have different values. The narrator is challenged because she chooses to have a baby out of wedlock with a married man of a different culture from her own and Olivia is judged for choosing to terminate her baby. The narrator , however chooses to see pregnancy as a positive change in her life, unlike Olivia whose life ‘crumbles’ from this point forward to the point where she becomes a recluse in a foreign land. Download English units of work, lessons, worksheets, study guides, program templates and much more. For teachers and students. 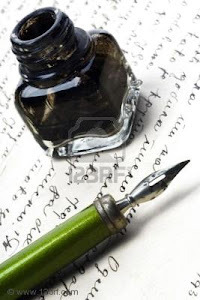 For students interested in a more interactive way to learn how to write creatively. Click link above to join. 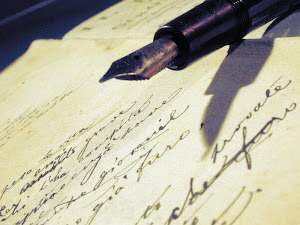 Need one on one personal guidance with your creative writing? Try online mentoring. Click the link above for more information. Once payment for the Belonging Unit of Work and Worksheets is received, an email will be sent to you with an electronic copy of the program and worksheets in a PDF file. Activities are formated for classroom use - Simply print. The lessons incorporate and extend on activities outlined in 'Area of Study: Belonging, a student workbook and this blog. See below for more details and sample pages. 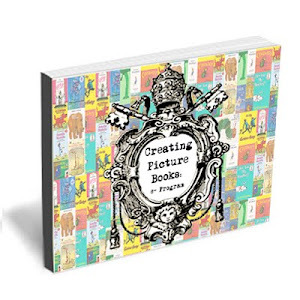 Buy Now via PayPal for $19.95 by clicking link 'send money' and entering email address: shelleymcnamara@hotmail.com Once payment is received, an email will be sent to you with a electronic copy of all resources on the blog in a PDF file. Activities are formated for classroom use - Simply print. A bit about me. 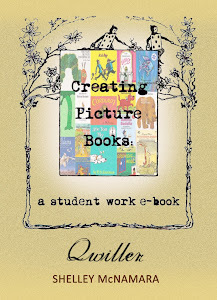 Due to my love of creative writing and experience as an English teacher for over 19 years, I created Qwiller, which provides Secondary English resources for students and teachers. 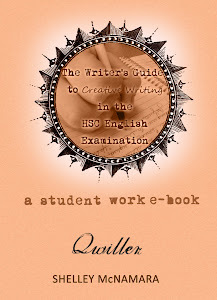 On the website you will find creative writing and English workbooks (including HSC workbooks), teaching units of work, creative writing courses and mentoring. 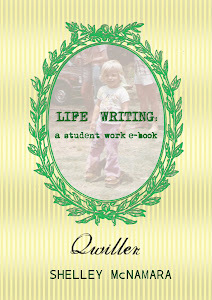 I continue to write personally and for Macmillan Education and Pascal Press. Thank you for visiting the site. I hope you find the resources relating to the three sections of the HSC Examination: Unseen texts, Creative writing and Analytical writing, meaningful and easy to incorporate into your study if you are a student or implement in your teaching practice if you are a teacher. I am an English teacher and am aware of the increasing demands on our time: both teachers and students. Please feel free to dowload resources you feel are relevant to your purpose s as a student or a teacher. The site is also available as a forum for discussion about Paper 1 of the HSC examination, teaching strategies and resources and general information for studying and teaching the Area of Study: Belonging. 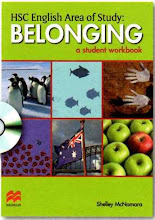 I have created this blog to enhance the development of resources outlined in 'HSC English Area of Study: Belonging, a student workbook' which was published by Macmillan in 2008. I am of the belief that teachers work extremely hard and their dedication and good will is highly under valued in society. Our time is precious and we often don’t have enough time to develop resources the way we would like to. That’s where I come in. I like writing and researching teaching strategies and resources and in the past I have written numerous programs for our English faculty suitable for Stages 4-6. My aim has always been to assist teachers in the development of interesting and relevant resources. I believe sharing resources makes our life much easier. Writing the textbook for Macmillan on ‘Belonging’ seemed like a natural succession. This was a new area of study and therefore a chance to refresh our teaching strategies for HSC English. This blog came about because of a suggestion from my publisher and because I feel that the development of ideas and resources for ‘Belonging’ is an ongoing and shared process. I have recently conducted a number of workshops on ‘Belonging’ and am available to in-service teachers and students. I will be conducting more workshops in Semester 4 2008, including a workshop at the ETA Conference in November. Encouraging your peers and colleagues to refer to the site, is greatly appreciated.